SABIC’s Innovative Plastics business today announced here at NPE 2012 (Booth #29000) important new additions to its flagship portfolio of high-performance Lexan™ polycarbonate (PC) materials: Lexan CFR (clear flame retardant) copolymer and three new Lexan LUX resin grades. 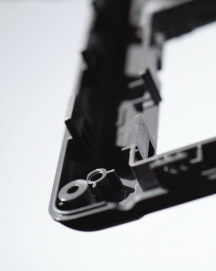 Lexan CFR copolymer addresses rising consumer electronics and appliance manufacturer demand for a clear, sustainable flame retardant (FR) material, and the new Lexan LUX resins offer an excellent solution for light emitting diode (LED) applications such as light guides and lenses. These new Lexan PC materials demonstrate SABIC’s ongoing investment in world-class technologies, technical expertise and portfolio breadth. They also underscore how the company continues to increase PC performance to meet customers’ environmental, high-performance, aesthetic and regulatory requirements. In fact, SABIC’s portfolio of customer-relevant PC materials is the broadest in the global plastics industry. Consumer electronics and appliances continue to shrink in size and thickness, calling for new materials that can provide excellent FR performance at ever-thinner gauges. For example, covers for notebook computers are typically 1.5 mm, and tablet covers are even thinner at 0.8-1.2 mm. Lexan CFR advanced copolymer fills an unmet market need by giving consumer electronics and appliance manufacturers a clear material with superior flame resistance at very thin gauges compared to competitive products, enabling customers to create the next generation of thinner, lighter-weight products. Lexan CFR copolymer complies with the Underwriters Laboratories (UL) 94 V-0 standard down to 1.0 mm and the UL 94 5VA standard at 3.0 mm. This transparent resin provides a non-brominated, non-chlorinated, non-phosphate, non-Teflon® FR that complies with major environmental protocols like Restriction of Hazardous Substances (RoHS), TCO99 International and Eco-Flower, making this product a viable alternative for those seeking sustainable solutions. To further promote thin-wall design, Lexan CFR copolymers offer improved flow and processability compared to standard clear, FR PC, due to effects of shear thinning. For example, a Lexan CFR resin grade with a melt flow index (MFI) of 18 can have a spiral flow (indicative of practical flow in molding) similar to that of an FR PC with an MFI of 28, while a Lexan CFR resin grade with an MFI of 5 has a spiral flow equivalent to that of an FR PC with an MFI of 14. Additional potential applications for this material include electrical transparent housing, covers on refrigerators and other appliances and stationary electrical parts like display panel, buttons, switches and decoration parts. The combination of UL 5VA and UL F1 ratings for some Lexan CFR grades also make them a consideration for outdoor applications such as electric vehicle charging stations. Efforts to raise the continuous operating temperature of LED lights for increased light output are placing new demands on plastics used in these applications. Long-term color stability and retention of light transmission performance under the influences of heat and light are becoming more critical. The Lexan LUX resin portfolio, which includes the three new transparent grades plus three others designed for covers of LED bulbs and tubes, addresses this challenge. The new Lexan LUX grades (LUX2110T, LUX2010T and LUX2910T resins) utilize new technology that offers improved initial color, color stability and light transmission during heat aging vs. standard PC. These next generation PC resins are engineered using an innovative, technologically advanced process, resulting in high-purity resins that provide significantly improved light transmission as molded and after heat aging, as compared to standard and optical grade PC. For example, these grades retain more than 98 percent of initial light transmission when exposed to a temperature of 130C for more than 5,000 hours. At more typical heat exposure in the range of 90-110C, the transmission retained is even higher. They also provide improved light transmission (10 units better, compared to competitive products) after heat aging at low wavelengths typical of LED systems. The latest enhancements to the LUX portfolio also offer a choice of flow characteristics for a variety of LED applications including automotive light guides and inner lenses and general lighting lenses. They also meet the UL 94 V-2 rating at 0.8 mm and glow wire flammability index (GWFI) 850C at 1 mm, according to the International Electrotechnical Commission (IEC) 60695-2-12. The latest additions to the Lexan LUX portfolio complements SABIC’s existing Lexan LUX resins, which were introduced in 2011. The first launch provided non-chlorinated, non-brominated FR resins that meet the UL 94 V-0 standard at 1.5 mm in all colors. They also offer a choice of customizable diffusion levels or transparency and excellent luminance. 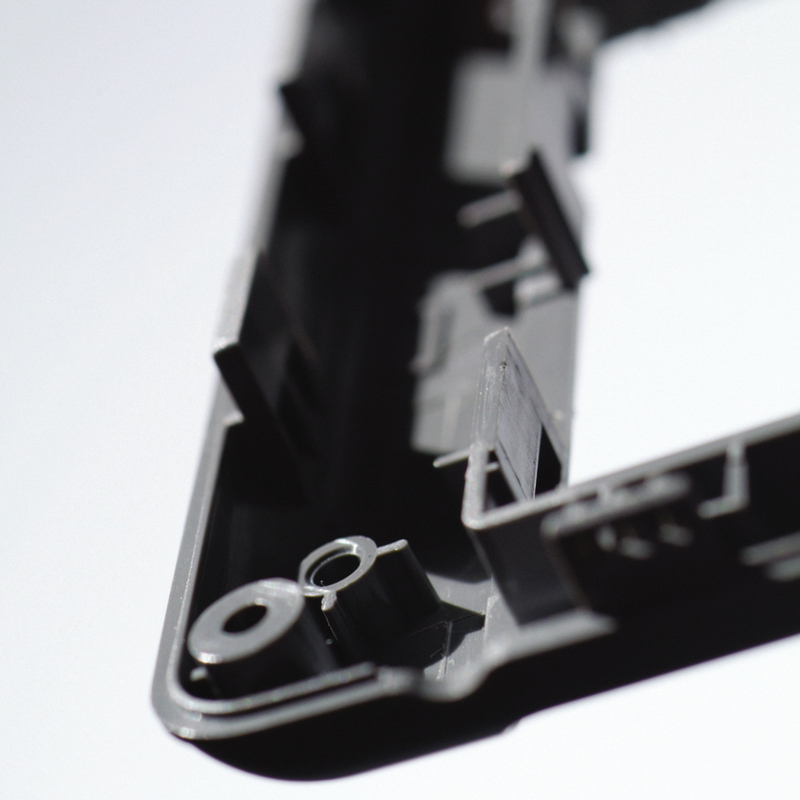 Customers can choose clear Lexan LUX9610 resin for injection molding and extrusion applications or select from two customizable diffusion grades. Lexan LUX9612 resin offers low diffusion and Lexan LUX9616 resin provides high diffusion with well-balanced transmission. For additional information on SABIC’s Lexan PC solutions, please go to www.sabic-ip.com. For technical product inquiries, please contact us at www.sabic-ip.com/prtechinquiry. SABIC is a trademark of SABIC Holding Europe B.V.